The experts tell us that cleft lips and cleft palates affect one in 800 Australian babies, yet it’s still a rarely talked about condition. Let’s remedy that and find out a little bit more about how clefts present and common treatment options. Clefts occur in 1 in 800 babies in Australia, with an increased risk if there’s a family history. That’s a huge number of babies, and lots of mums and dads working out how to navigate life with their cleft bub. Clefts can be diagnosed via a routine ultrasound or may be diagnosed after the birth of a baby. Some clefts are harder to spot and are diagnosed later in life. Most children with cleft lip or cleft palate have no other congenital conditions. A cleft palate or cleft lip occurs when the upper lip, the gum of the upper jaw and the roof of the mouth form with a partial or complete gap between them, rather than being joined in the usual manner. These cleft palates or cleft lips are created in the early weeks of pregnancy – between 7 to 12 weeks gestation – and present in a number of different ways, depending on how the jaw, lip and roof of mouth develop. This variance – and the gaps created between these parts of the mouth – can result in a partial or a complete cleft palate. For some children, their cleft may present in their lip only. Some babies clefts present only in the roof of their mouth. For others it’s the lip and gum affected and those with a full cleft palate have gaps between their lip, gum and roof of mouth. It’s not known why the jaw, lip and roof of mouth don’t join together or form in the usual way in some babies. Cleft: a non-typical opening in a part of the human anatomy. Cleft lip: a congenital facial difference caused by the incomplete development or fusion of the lip. This creates an opening in the upper lip. The opening in the lip may be a small gap or it can be a larger opening stretching through the lip into the nose. A cleft lip can be on one or both sides of the lip or – more rarely – in the middle of the lip. Children with a cleft lip may have a cleft palate as well. Cleft palate: a congenital non-typical opening in the palate. A cleft palate occurs if the tissue that makes up the roof of a baby’s mouth does not join together completely during pregnancy. The front and back parts of the palate are open for some babies with cleft palates. Some babies have an opening in just one part of their palate. Feeding: While some babies with clefts navigate feeding challenges, others feed more easily and or are unaffected. Doctors have developed helpful feeding techniques and equipment designed to work well with clefts. Speech: Some babies with clefts may have challenges with speech development. Again, a dedicated medical team can intervene early and provide strategies for kids with affected speech. This may involve speech pathology or surgical treatment. Teeth: If a baby’s cleft affects the gums, here’s also the possibility that teeth may be impacted by clefts. Ears: A baby’s ears may be affected by their cleft. This could involve hearing impairment or a tendency to develop ear infections. All consequences of clefts can be positively managed by healthcare professionals in conjunction with families. Treatment will vary from child to child. Children with clefts are assessed by their doctors and potential treatment options will depend on what’s right for that child and their family. Treatment is dependent on the type and severity of the cleft, the age of the child, the child’s needs and any other health concerns the child may have. Clefts may be surgically treated to help close or correct the opening. 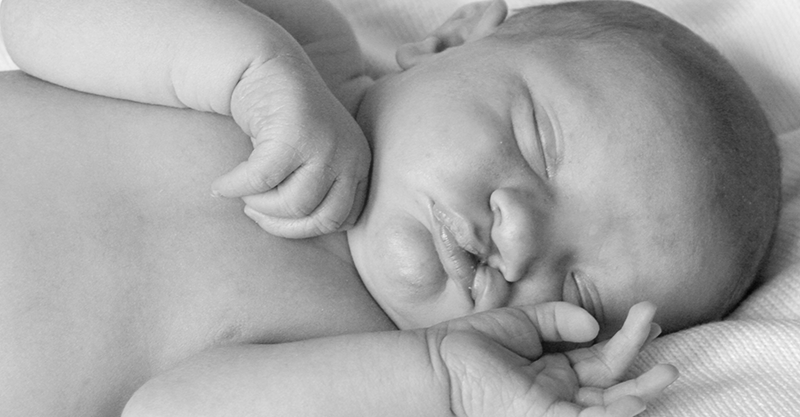 A cleft lip can usually be repaired in the first few months of a baby’s life. 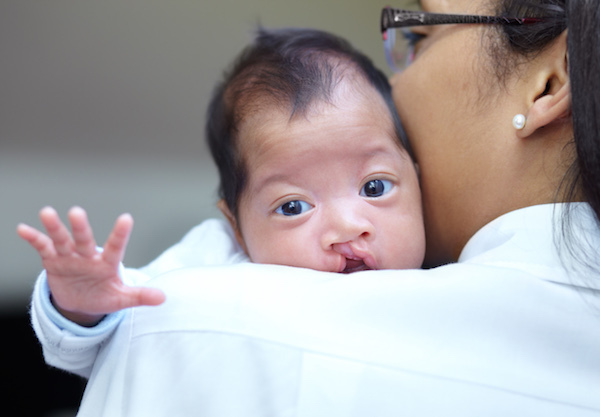 A cleft palate can usually be repaired within the first few months of life, too. Babyology spoke to two families whose children have received a cleft palate and/or cleft lip diagnosis. You can read their stories and find out more about how they responded to their diagnosis and what life with a baby who has a cleft is like here.